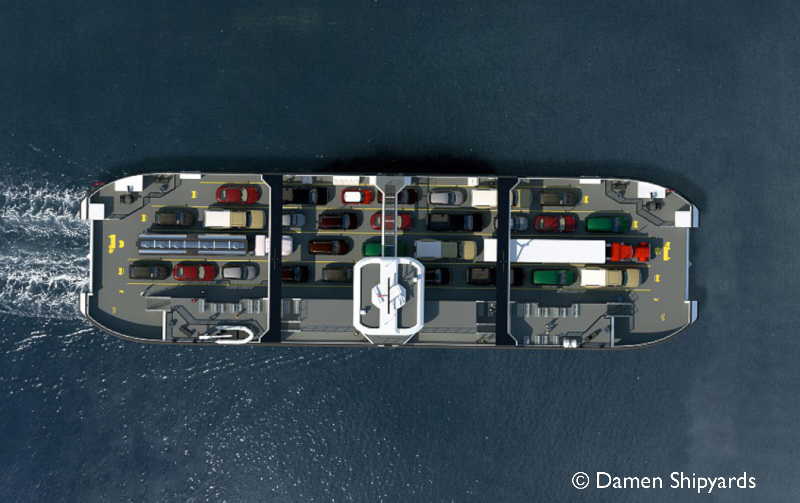 Canada’s first fully-electric ferries are being built by Netherlands-based Damen Shipyards for the province of Ontario. The ferries will sail Canada’s Great Lakes and also be ice-class. Bluferries, the Italian shipping company controlled by Rete Ferroviaria Italiana and active on the two sides of the Strait of Messina, received this week the new ferry TRINACRIA (ex OKEANOS I). She has been acquired from Ocean Freedom Shipping Company and built in Greece by Perama-based Megatechnica shipyard. As from next December this new vessel will enter into service between the ports of Messina and Villa San Giovanni. Some particulars: 400 passengers, 150 cars or 23 trucks. Overall length 104m. Price €14.5 million. 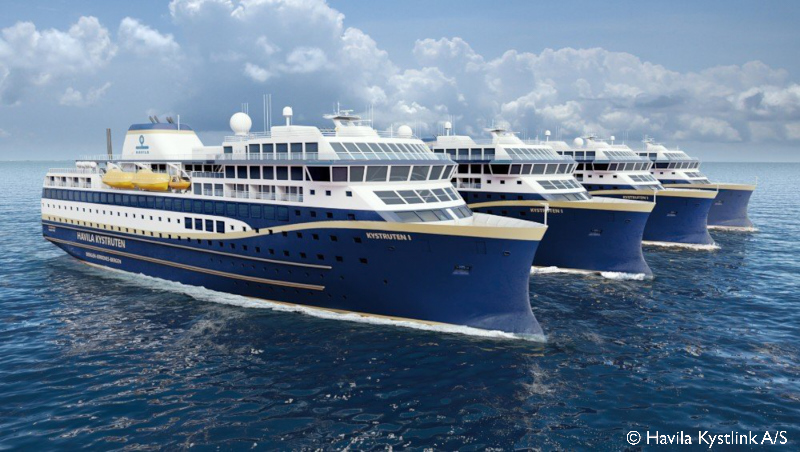 TRINACRIA will be followed in 2020 by a sister ship due to be built by the same shipyard in Greece. Blueferries officially revealed to have exercised the option for a second vessel at the same price. Ferrando & Massone of Genoa acted as broker of the deal. In 2016, the Finnish Government has committed itself to co-finance the Kvarken transport project (ferry link between the cities of Vaasa and Umeå). The Government has now amended the budget for 2018, and this includes EUR 10 million for the development and the continuity of the existing ferry services, and another EUR 10 million for the new ferry project. A decision about the planned biogas / LNG hybrid ferry project is expected to be taken in December. 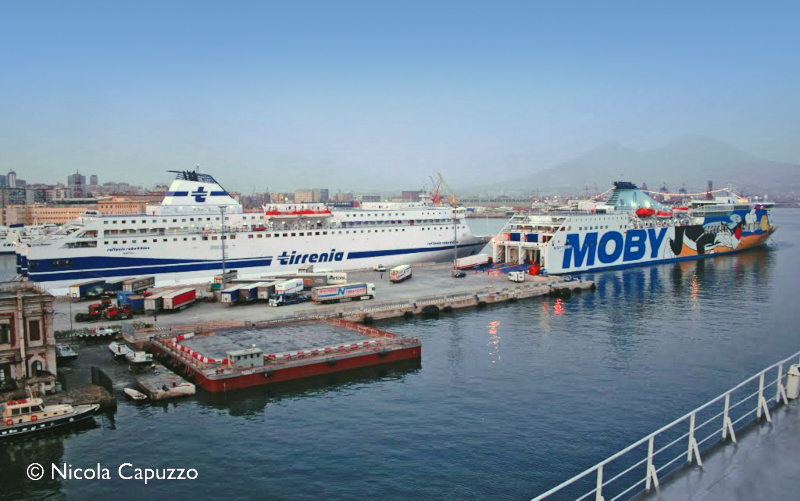 The announced merger of the two Italian ferry companies Moby and Tirrenia received the green light from the company’s shareholders. The headquarters of the group is expected to be moved back from Milan to Cagliari, in Sardinia. 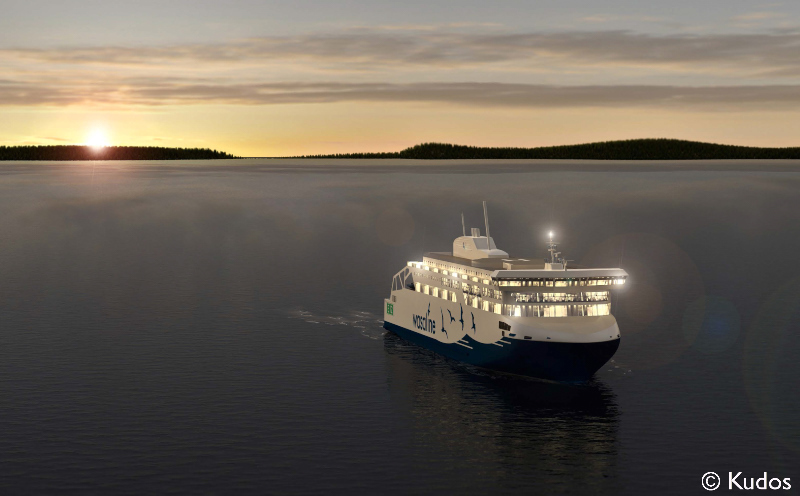 AS Tallink Grupp and Finnish shipbuilding company Rauma Marine Constructions Oy have signed a letter of intent to build a ro-pax shuttle ferry for the Tallinn-Helsinki route. Brittany Ferries can look back on an encouraging summer season. However the company has also raised the alarm. Noting a fall in demand for family holidays next summer, it has warned of serious consequences for international tourism and the regions it serves if a Brexit deal does not bring certainty and the free movement across borders enjoyed by customers today. In Q3, passenger traffic rose by 2%. Portsmouth-Caen (which carries around 30% of passengers) pax +2% rise. 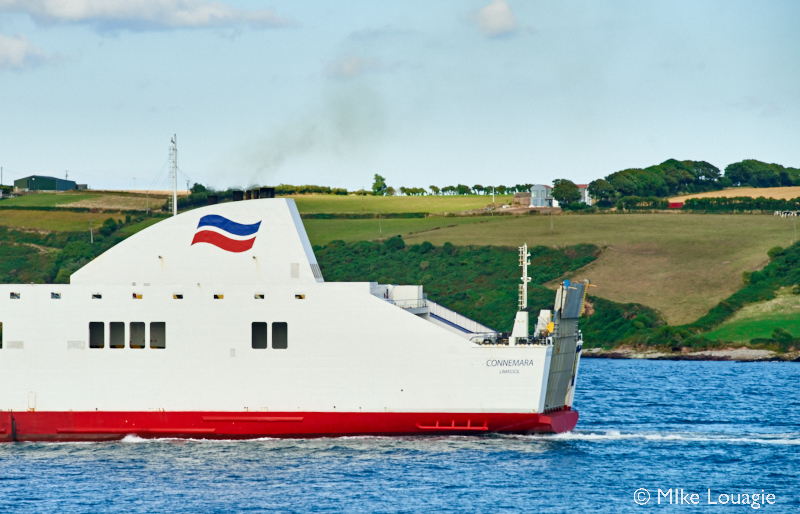 Cherbourg-Portsmouth (-9%) because a shorter season for the summer-only high-speed service with NORMANDIE EXPRESS. 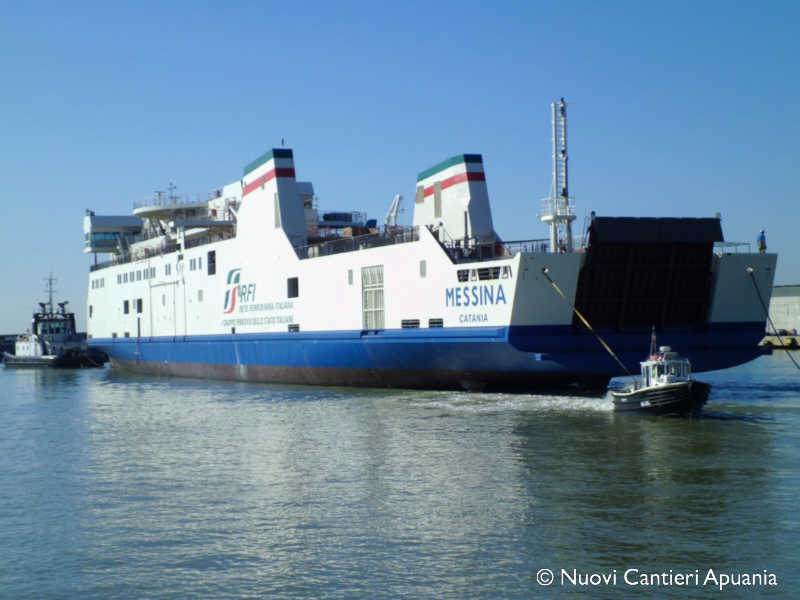 Genoa-based T.Mariotti (together with the sister companies San Giorgio del Porto and Tecnavi) and Carrara-based Nuovi Cantieri Apuania are the two shipyards which submitted an offer to build a second ro-pax train ferry for RFI (Rete Ferroviaria Italiana). The ferry is to be deployed in the Strait of Messina. 8 October was the deadline for submitting offers to build a sister ship of the MESSINA delivered by Nuovi Cantieri Apuania in 2013. Starting price is €53 million and construction time 495 days. Apart from NCA and T.Mariotti no other shipyards submitted their offers according to RFI. A final decision will be announced as soon as all the technical and economic evaluations of both the offers will be completed. 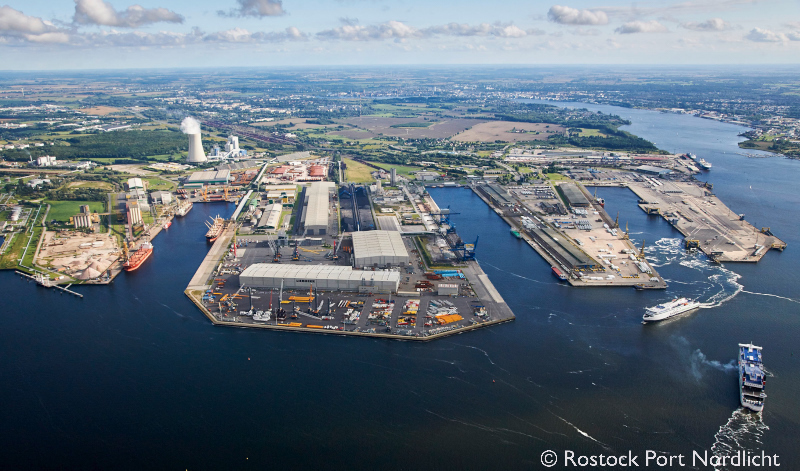 Port of Rostock announced the signing of a lease agreement with a Belgian-Russian joint venture, for a mid-scale LNG terminal. This milestone brings the LNG project in Rostock one step closer to the anticipated start in the next decade. The joint venture (Fluxys 51% – Novatek 49%) intends to build and operate a terminal for receiving and unloading mid-scale LNG carriers, keeping LNG in storage and providing services to enable downstream distribution of LNG (bunkering). On October 11, the Polish bus manufacturer Solaris delivered an electric bus to the Port of Ystad. The bus is used for the carriage of ferry passengers between ships and terminals and is specially designed to provide greater capacity for both standing passengers and luggage. The equipment includes a Scandinavian thermal insulation package: no more cold buses at the beginning of a winter day.